This motivating, inspirational keychain is made with a circle stainless steel message charm that measures 3/4" x 7/8" (or 19mm x 22mm). Makes a great gift for a graduate of any class or program. 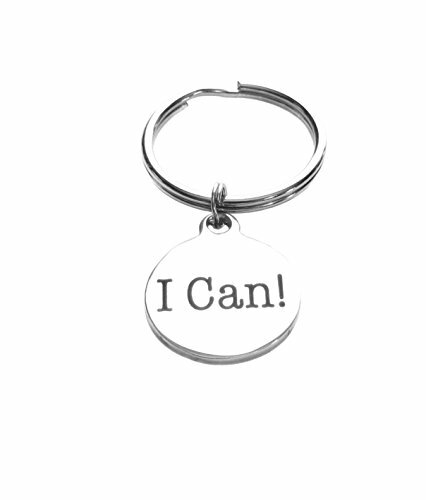 This inspirational keychain proclaims: I Can! Makes a great gift for high school or college graduations, as a momento for any seminar class or program, or any type of new beginnings!